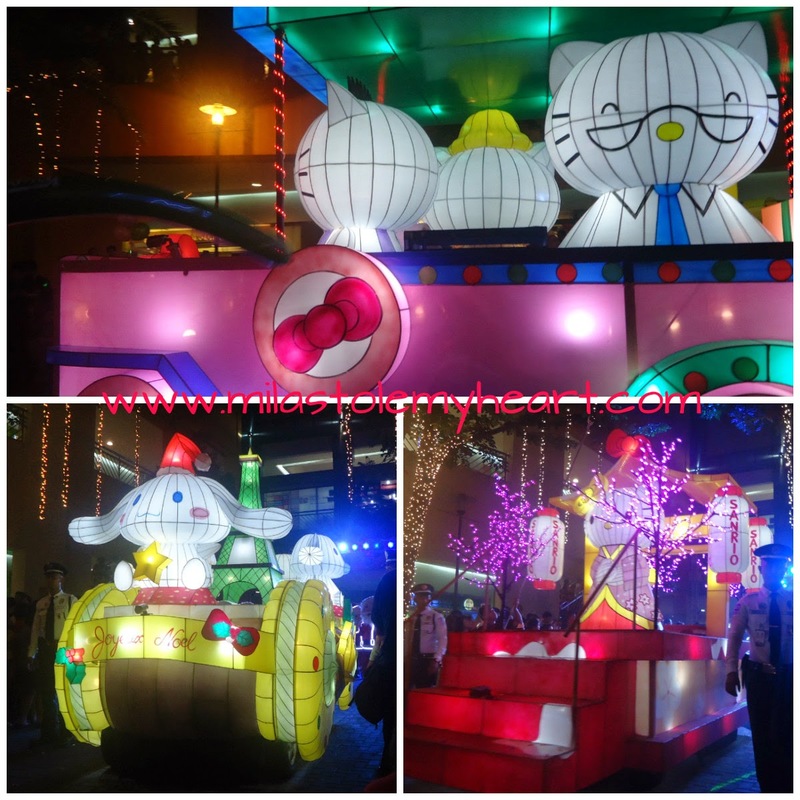 Mila Stole My Heart: The SM Mall of Asia Lights Up, Sanrio-style! If you follow me in Instagram, you'd know how excited I was to attend The Grand Festival of Lights Parade. 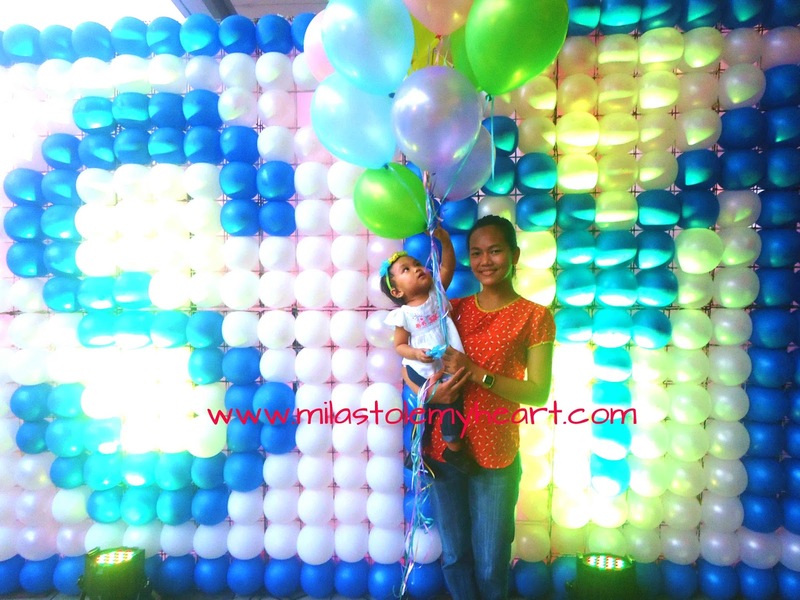 Thanks to my favorite Ms. Lanie of Mommy Bloggers Philippines, we got to enjoy the event VIP Style! 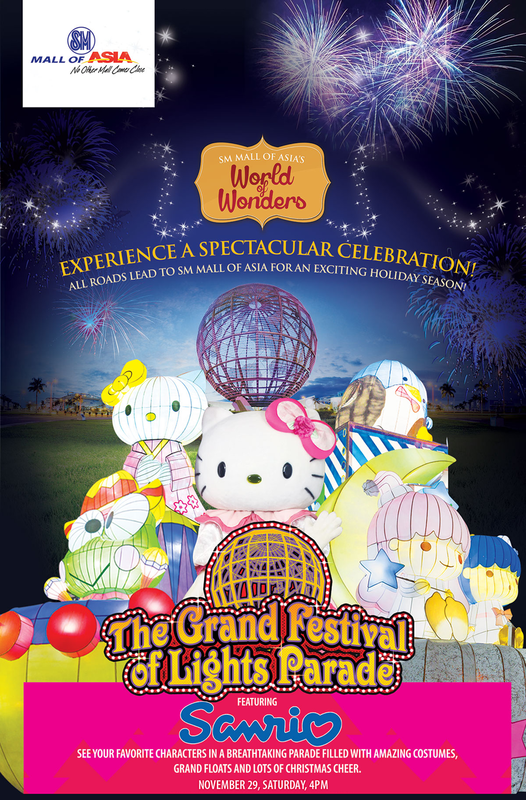 Hello Kitty and her friends are in town to bring the Christmas cheer! 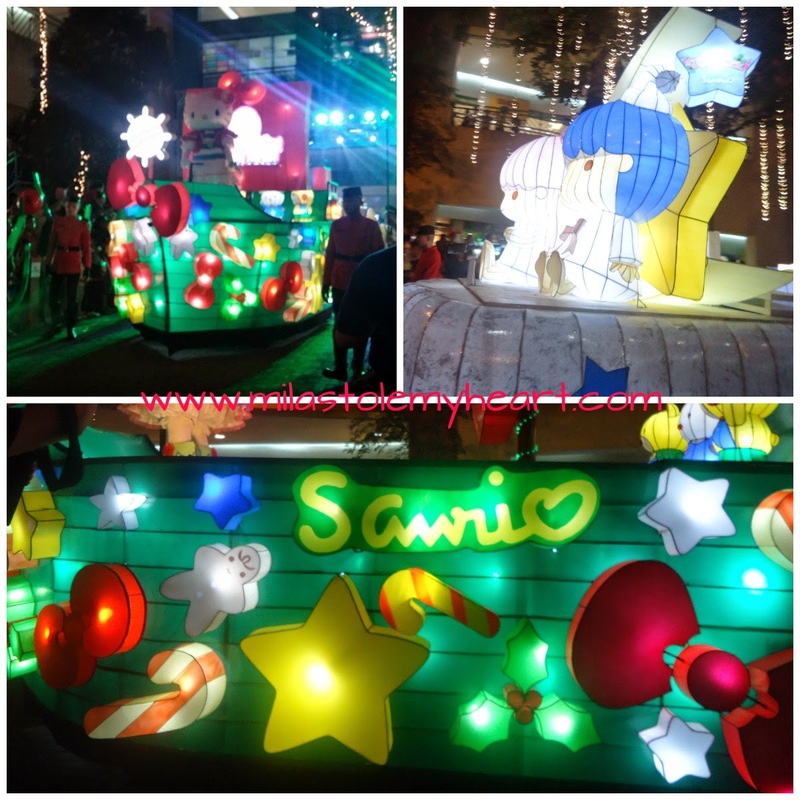 Join the gang as they bring season’s greetings all around the Mall of Asia grounds in the Grand Festival of Lights every Saturday from November 29 to December 25. 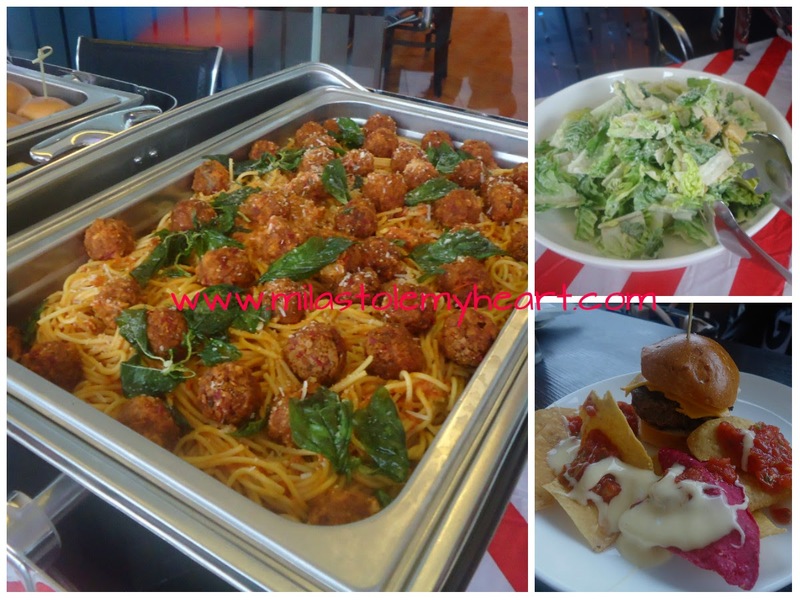 There was a pre-launch party held at TGI Fridays. 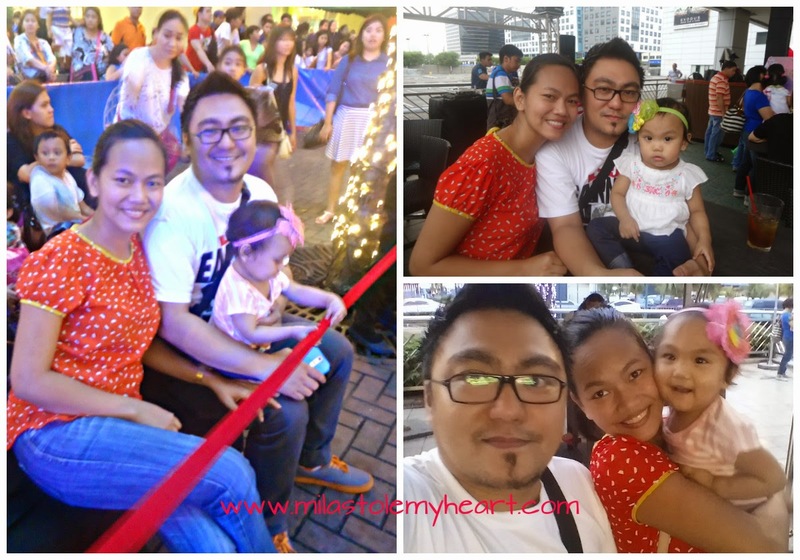 We met lots of other Momma Bloggers and some celebrity kids waiting to see Hello Kitty! 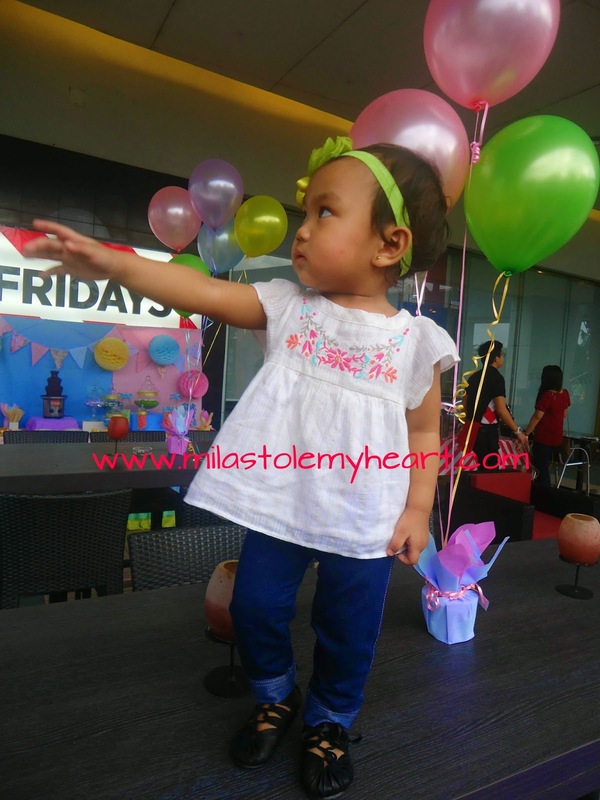 Mila had the grandest time, running and dancing. She had her tummy full from the candy buffet (only apples and wafers for her though) and her favorite spaghetti. Happy family weekend! We love that velvet rope! At about 5:30PM, we were escorted to our VIP seats! We were in the front row and Mila was just shouting with delight. I must say, I enjoyed the show more than Mila did. I guess she got too tired during the party and the lights and sounds are a little too much for my weary babe. She was still a trouper though, pointing and wow-ing on every float that pass right in front of us. 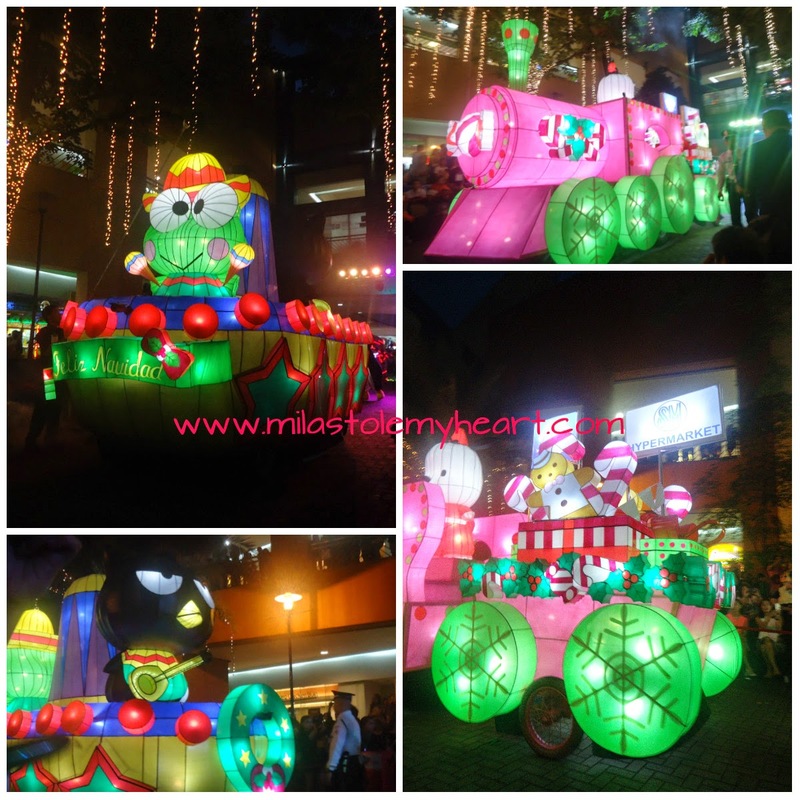 This is the 6th year that SM MOA will hold its Christmas parade, and it keeps getting bigger and grander where thousands are expected to witness this year’s SM MOA holiday treat! For this year, Hello Kitty and other beloved characters such as Keroppi, Little Twin Stars, Badtz-Maru, My Melody and many more will spread joy and happiness for fans of any age. 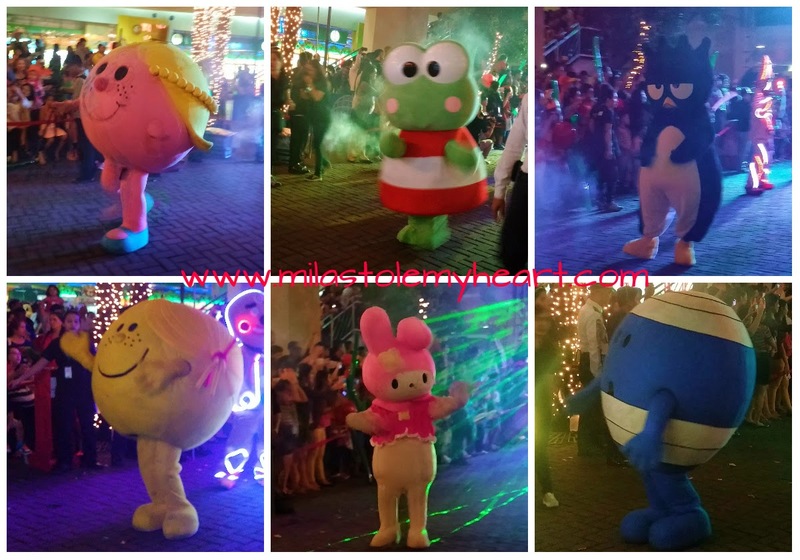 The 12 colorful Sanrio mascot floats, which depict Christmas celebrations around the world, was accompanied by a parade of mascots, dancers and performers to add to the fun! 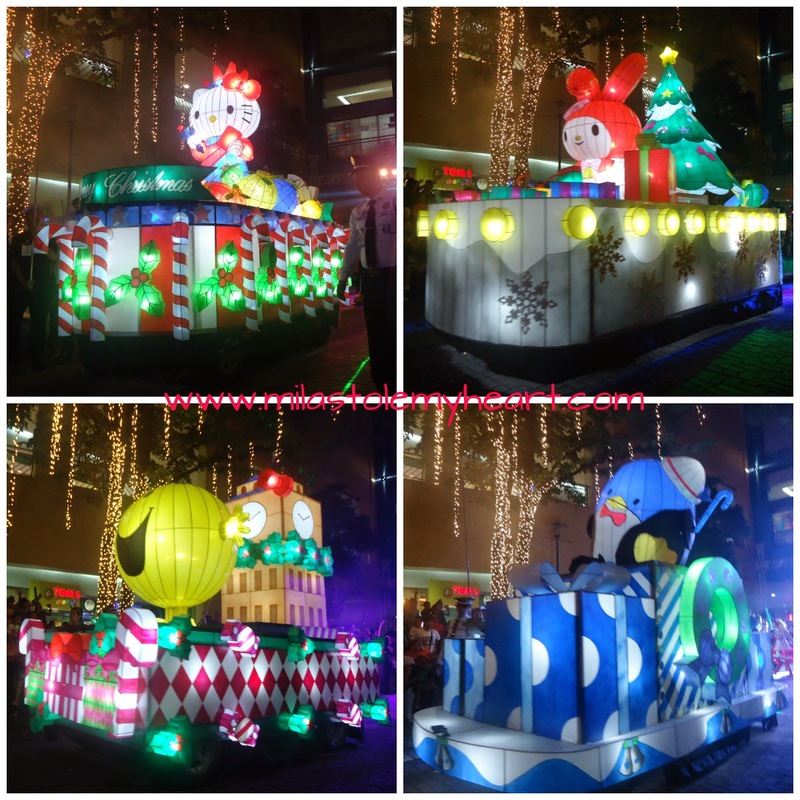 The Grand Festival of Lights motorcade will be held every Saturday starting on November 29, until Christmas day. The parades, which will start at 5:30 p.m., will begin from the North Arcade and end at the SM MOA By the Bay with a big bang via a grand fireworks display. A special Christmas Day parade also awaits the young and young-at-heart, with more surprises and spectacles in store for holiday shoppers! Christmas is the best time to create new memories, and there is no better way to spend it with loved ones than to enjoy the sights and sounds of the season. The Mall of Asia is perfect for those who want to bond with friends and family with fun activities for one and all! Here are other activities to look forward to during the holidays: Witness the magical SM By the Bay Tree Lighting Ceremony on November 29, Meet and Greet Santa Claus at 3 p.m. every Saturday and Sunday at the Main Mall Atrium; and enjoy Pyromusical Weekends every Saturday and Sunday at 7 p.m. at the SM MOA By the Bay. For updates on fun holiday events, visit the Facebook page smmallofasia or follow @TheMallofAsiaOfficial on instagram and @TheMallofAsia on Twitter. 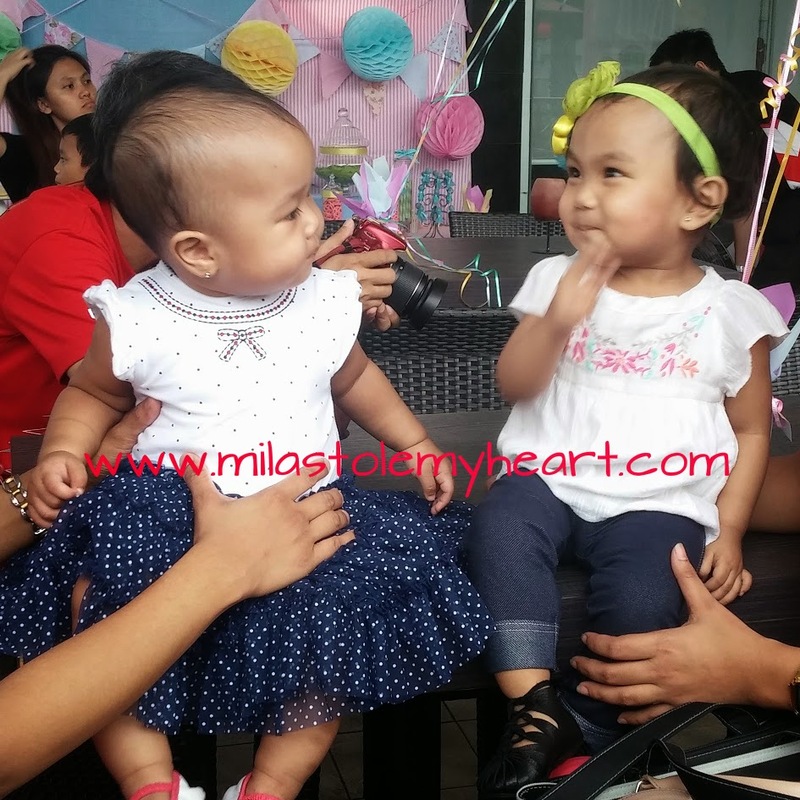 Nice meeting you Mommy Pauline and Ate Mila. :) Sayang kulang yung oras natin para makapag chikahan, meron pa naman next time eh. I so love how they treat us, VIP talaga.. hihi. Let's plan our playdate. Makati area ka rin tama? Sayang! But yes, go and for sure you'd enjoy! Definitely. Yes, around Makati/Pasay lang ako. We should set that. 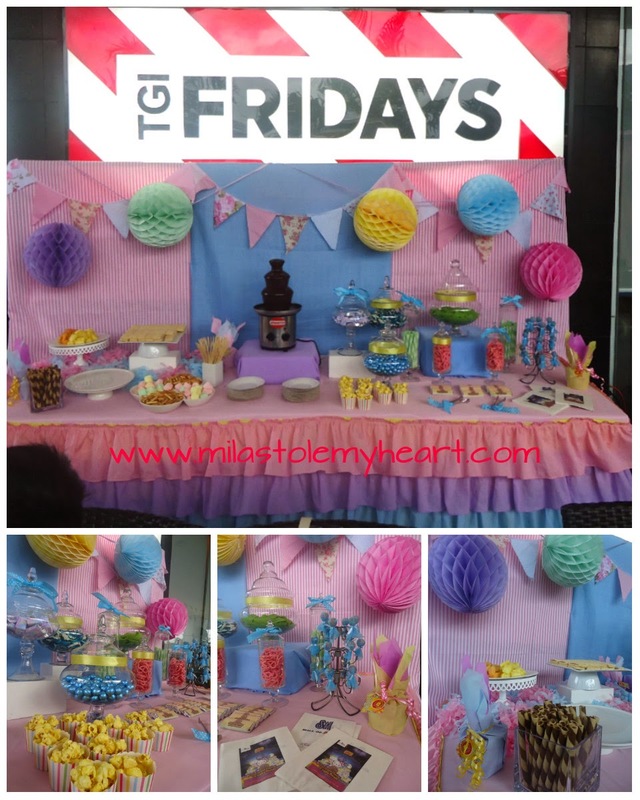 Sarap ng VIP no? Oo nga eh, feeling artista tayo lalo na nung dumaan tayo sa gitna. 1st time yun ha. Hehe. Cge let's set that playdate. 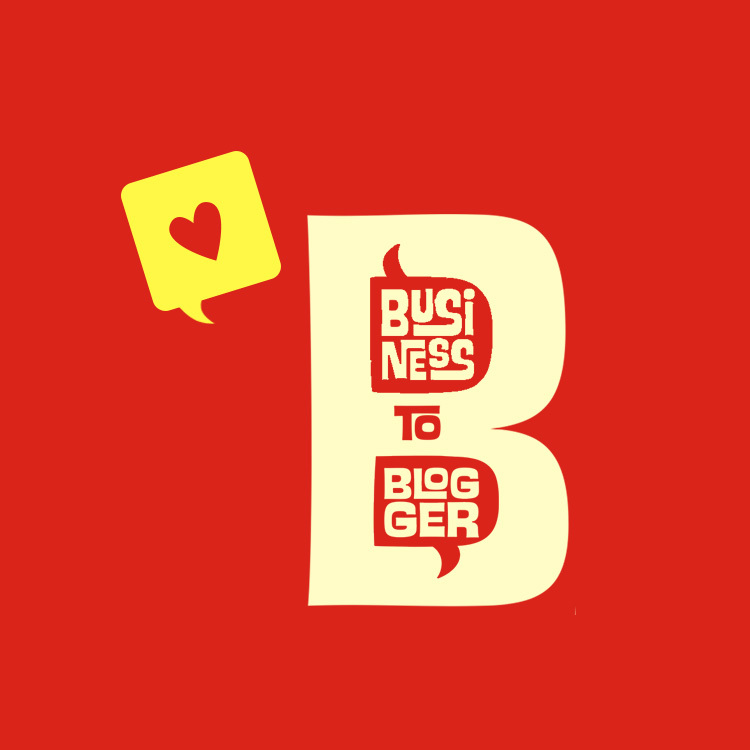 Are you going ba sa Christmas party ng MBP on Friday? so pretty! sana nakasama ako huhu sayang. Saka di pa tayo nagkita ulit! Sayang! very interesting. 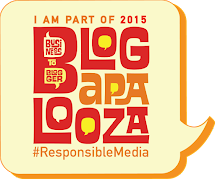 I wish we are just near the metro so we can attend festivities like this. Sarap naman ng VIP feeling! The event really looks so grand. 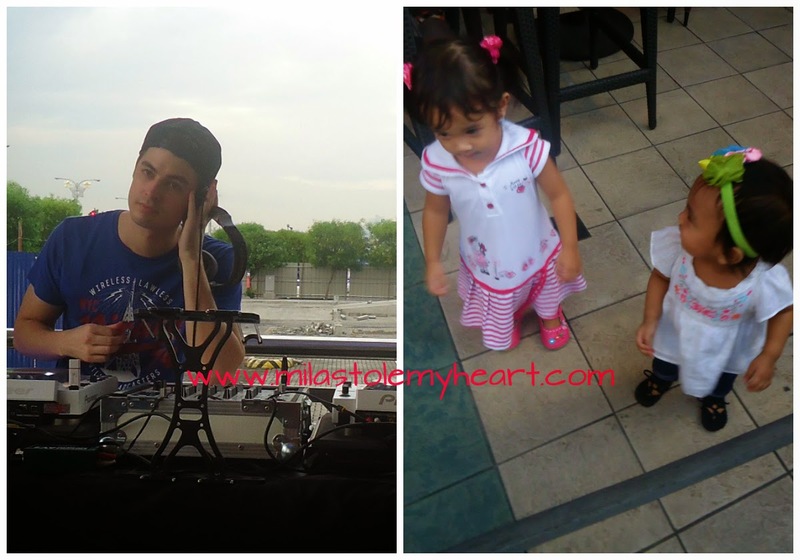 I'm sure you and Mila had a great time! We missed this too! Amazing lights. I hope we can go one time in MOA before we leave for Bacolod for the long vacation. This looks like it was so much fun. We wanted to go but I was too busy with things. Hopefully we can still catch the remaining shows left. We really wanted to come but we live too far :-( but I am really happy that you were really treated as VIP :-) Hope next time we'll have more slots for the moms. Thanks so much for that invite Lanie. Oo nga, sana mas marami para mas masaya. Super VIP Treatment kami and the organizers were nice. Yes, let's make sure tuloy ang playdate natin sa park. Picnic na! Were you able to go last Saturday? I bet your boy will have a blast. Forgive me if I didn't say hi during the event. I'm just a little shy sometimes and not good with faces.